Our methodology for product development is Quality Function Deployment (QFD). QFD is an extremely robust product development techniques that involves gathering the voice of the customer and translate customer needs into product specifications. For more information on QFD see, What is QFD? The most critical aspect of successful product development is collecting the Voice of the Customer. Gathering the voice of the customer (VOC)uncovers critical needs for any new or existing product or service. Needs that are processed to discover innovation breakthroughs. We work directly with product development teams to design customer focus groups. Then teach the team how to facilitate their own customer focus groups. For more information on the the VOC process see, Are You Hearing Voices? We facilitate methodologies for creating comprehensive strategic plans. A critical piece to any strategic plan is product development. We use a highly robust methodology for strategic planning called Hoshin Kanri. As part of the strategic planning pre-work, we facilitate SWOT (strengths, weaknesses, opportunities and threats) analysis for organizations. Team building must be an on-going process for all organizations. We build high performance teams that carry out the strategic mission of the organization based on data collection and analysis. We then focus on the "being" side of teamwork, stressing how to understand individual differences, solve conflict and improve communication. Our foundations for this learning experience are simple quality tools and the Myers-Briggs Type indicator as an instrument of personality analysis. Training is the ultimate form of organizational communications. 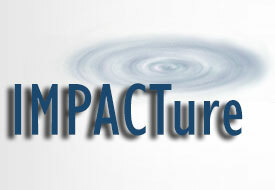 IMPACTure can deliver their stand-up training to your organization or design something based on the needs of the company. Regardless of how you need the information to get communicated, we deliver quality training that has impact for years to come. Part of the services we offer our clients is free access to our sister company, LearnFirm.com. For the past eleven-years LearnFirm.com has been providing quality on-line training and education. The American Society for Quality features all of LearnFirm.com's courses and student receive REU credit and CEU credit for may our these outstanding courses.